Swedish operator Yggdrasil Gaming makes a foray into the Danish market. Swedish gaming operator Yggdrasil Gaming has announced the signing of a very important agreement, which will see the provider enter the highly competitive Danish market for the very first time. The company based in Malta sealed a new deal to provide its games and promotional tools to brands Vera&John and InterCasino owned by Jackpotjoy Group. Under the provisions of the new partnership, Vera&John and InterCasino will offer its Danish customers the access to Yggdrasil’s extensive portfolio of superior mobile and online games, including the recently launched Jungle Book video slot. The two brands will also be able to use Yggdrasil collection of in-game promotional tools, such as BOOST – with Cash Race and Missions, but also the BRAG tool launched last year, that allows players to watch the replays of their winning spins and share them on social media. 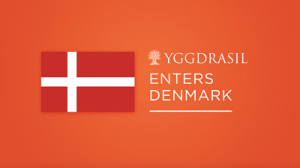 Yggdrasil has already acquired a loyal customer base in Denmark, and with this move will undoubtedly gain on popularity and increase its market footprint in this Scandinavian country. Fredrik Elmqvist, Yggdrasil Gaming Chief Executive Officer stated the company was committed to growing its presence in regulated markets across Europe, and therefore entering Denmark with Vera&John and InterCasino had been a logical step toward achieving this goal. Since Denmark is close to Yggdrasil’s key Scandinavian markets, its content should quickly become popular among the Danish punters. According to Elmqvist, Yggdrasil’s flexible platform and structured operation would allow them to quickly adapt to any regulatory changes in Denmark. Jackpotjoy Group Head of Gaming Victor Olinger said it was a great achievement to be the first to bring Yggdrasil slots to Denmark, and added he was confident the games would be as equally popular as in other European countries. Olinger stated this move really underlined the company’s commitment to offering only the very best games to its players. Yggdrasil is one of the industry’s most respected and acclaimed suppliers, providing games for some of the world’s biggest operators. The company is headquartered in Malta, with offices in Poland, Gibraltar, and Sweden, while holding licenses in Malta, Gibraltar, the United Kingdom, Romania, and Italy.